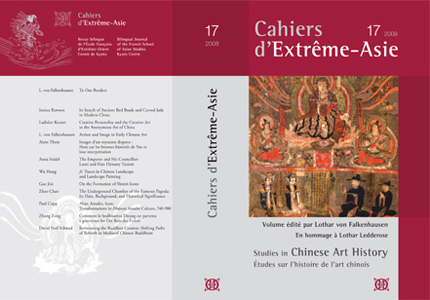 Cahiers d'Extrême-Asie, vol. 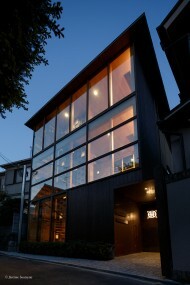 22: Living together in a Kyushu Town, ed. Anne Bouchy. Cahiers d'Extrême-Asie, vol. 21: The Way of Yin and Yang; Divinatory Techniques and Religious Practices, ed. Bernard Faure & Iyanaga Nobumi. 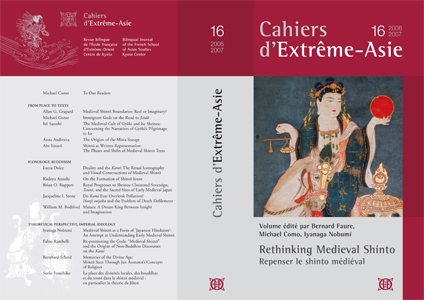 Cahiers d'Extrême-Asie, vol. 20: Buddhism, Daoism, and Chinese Religion, ed. Stephen T. Teiser & Franciscus Verellen. Publication of the call for application for the construction of the new Centre of the EFEO in Kyoto, in the journal Kenchiku zasshi, July 2011, vol. 126, no. 1620, p. 141. Iyanaga Nobumi, and Michel Como was published in 2009.